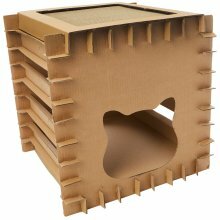 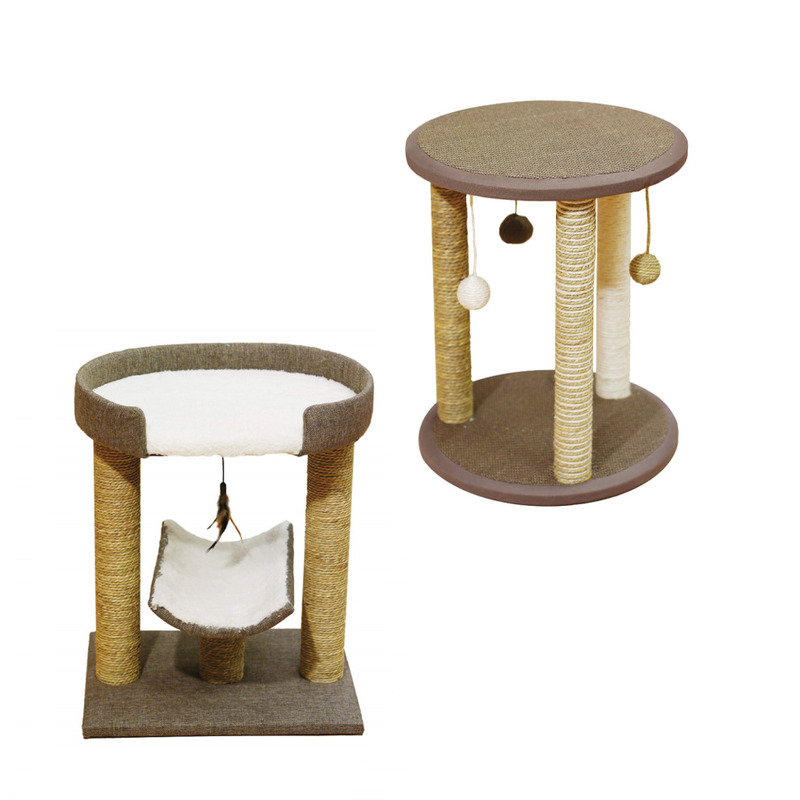 Keep your kitty entertained (and their claws away from your sofa!) 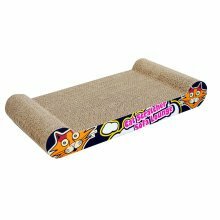 with a Rosewood Cat Scratcher Post. 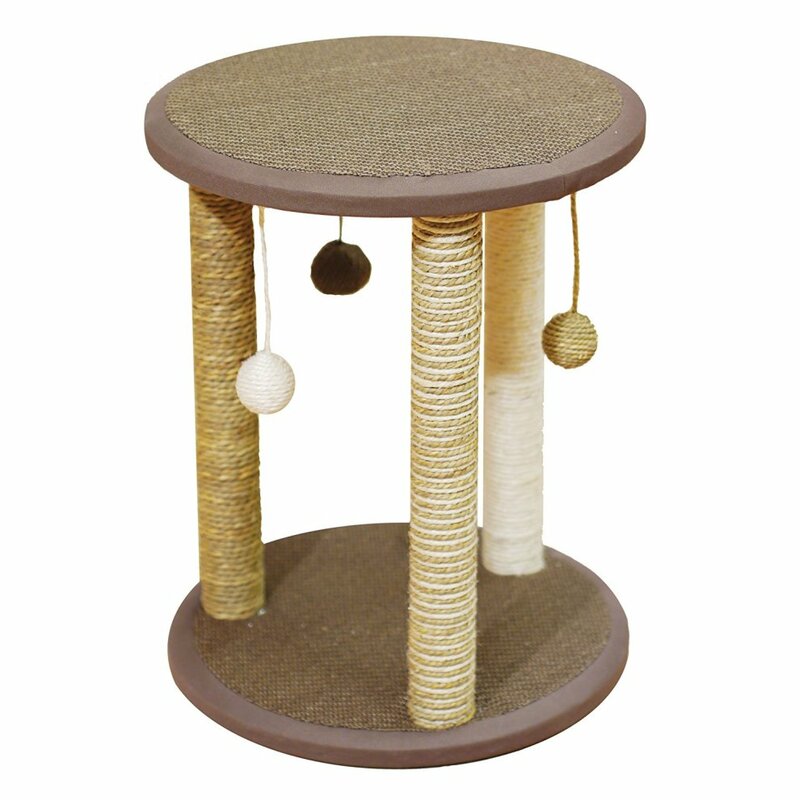 Designed to blend in seamlessly with your décor, the neutral colours and natural materials make a soothing addition to every home. 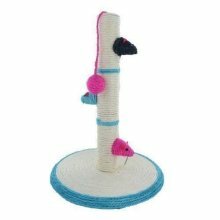 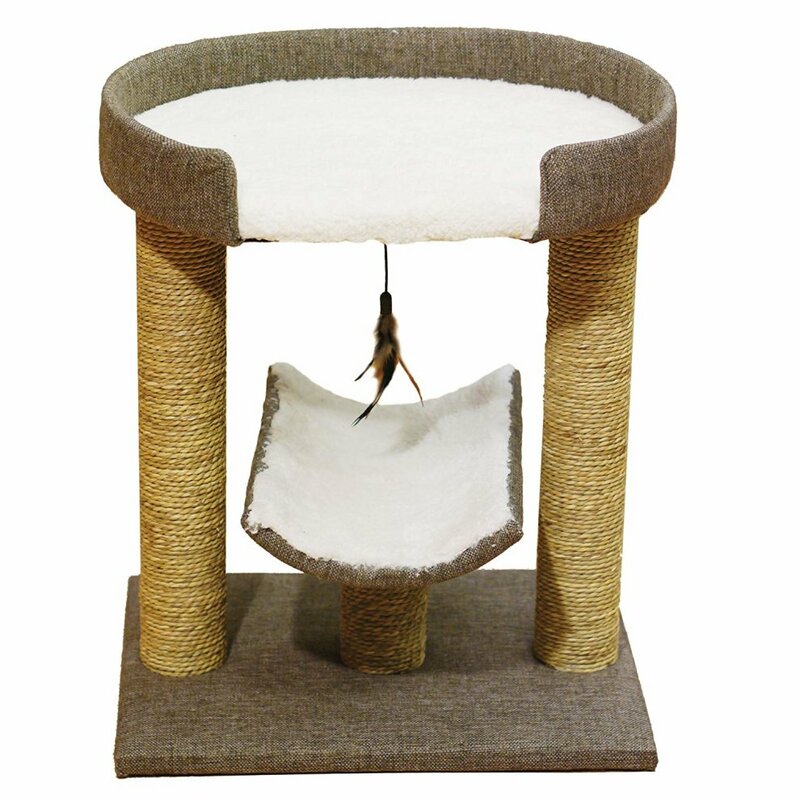 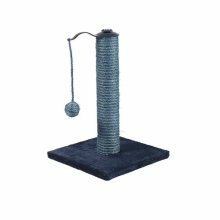 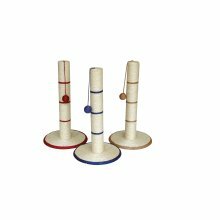 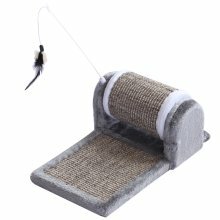 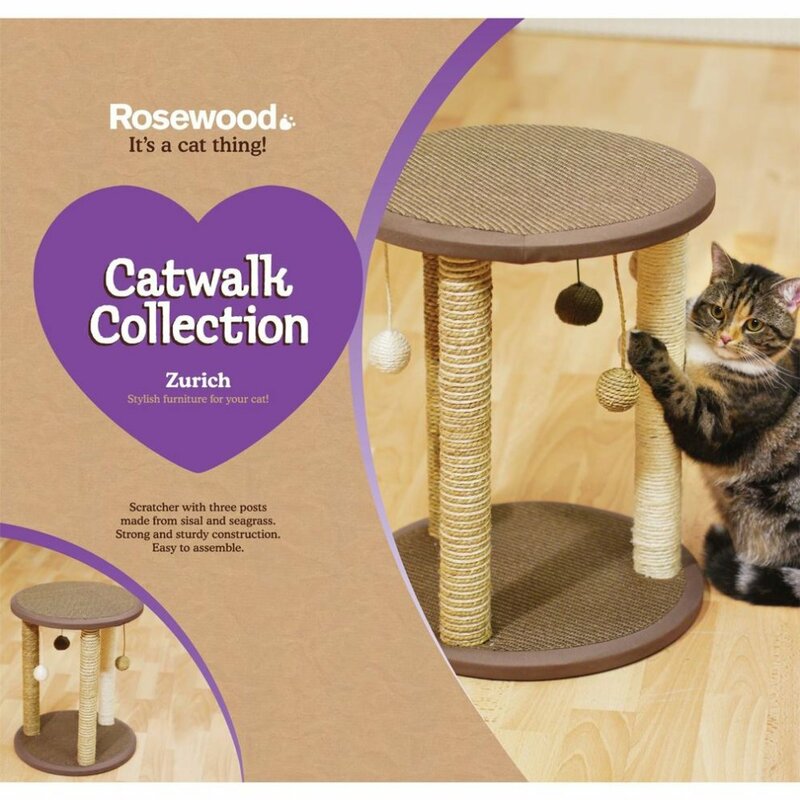 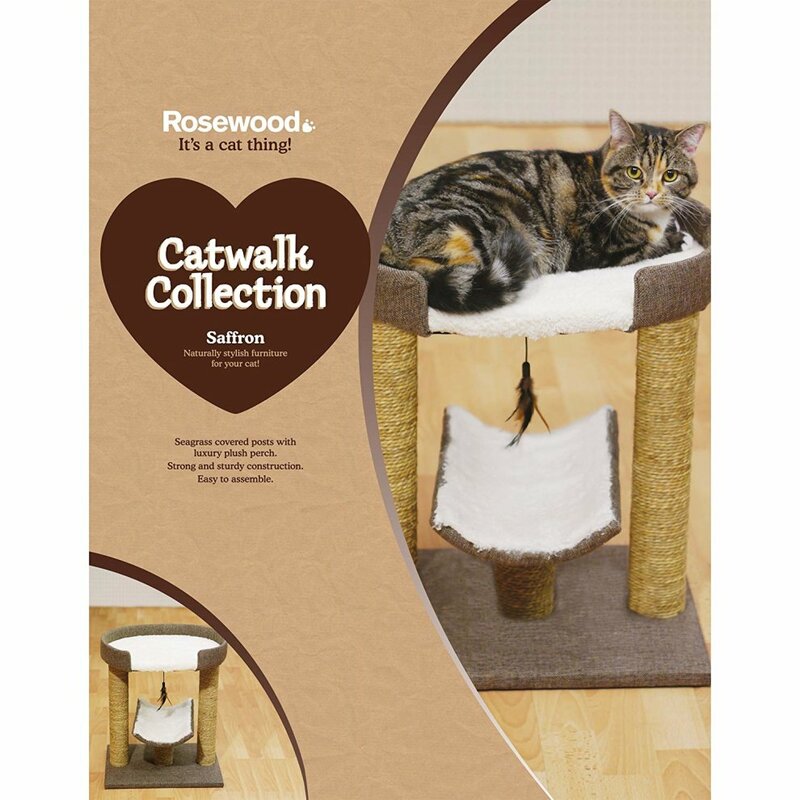 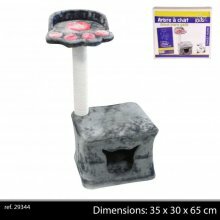 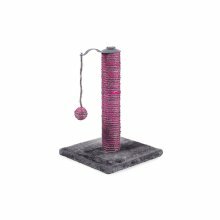 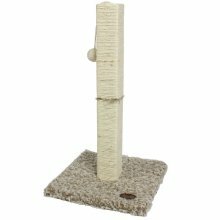 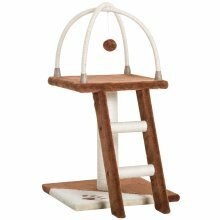 Complete with three hanging toys for the ultimate playtime fun and an infusion of the finest catnip, your feline will simply love this scratcher - and your favourite furniture will soon be old news to them! 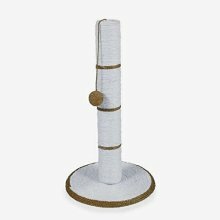 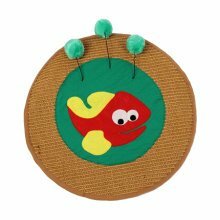 It features three posts crafted from sisal and seagrass with a round textile base and top for a cute hideaway they can call their own. 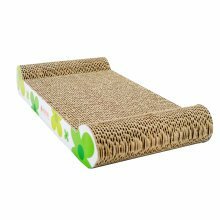 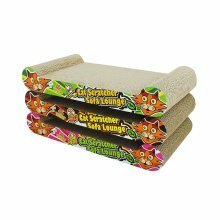 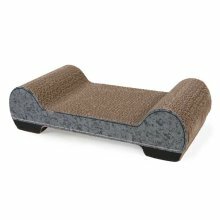 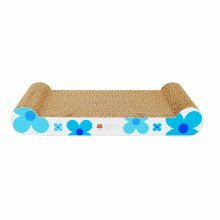 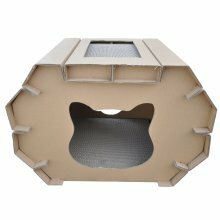 With two posts covered in seagrass and an oh-so-comfy top for the plushest of catnaps, this is a scratcher fit for the most pampered kitty. 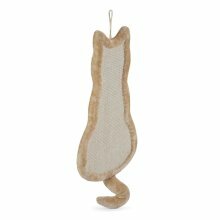 When they’re not busy snoozing, the hanging feather toy will keep them on their paws - and speaking of claws, your furniture simply won’t measure up to the scratching opportunities provided here!